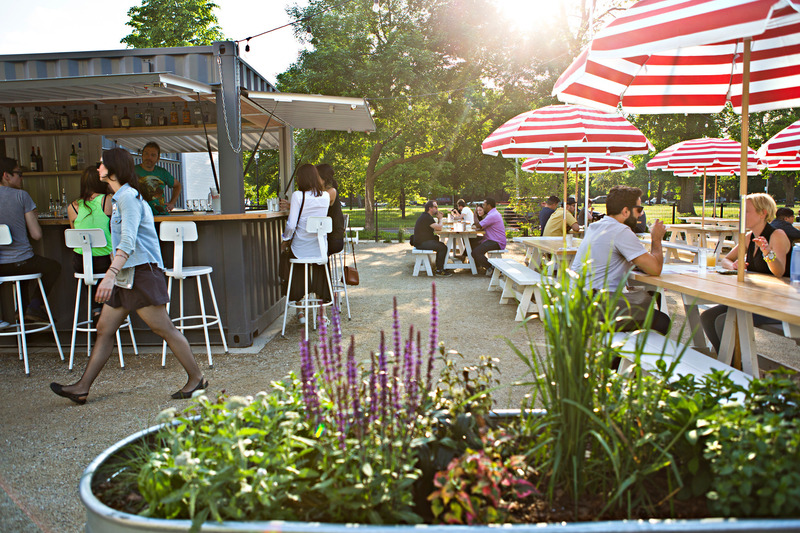 When given the option to sit inside or out, most Chicagoans will gladly jump at the opportunity to dine alfresco—as long as the forecast cooperates. 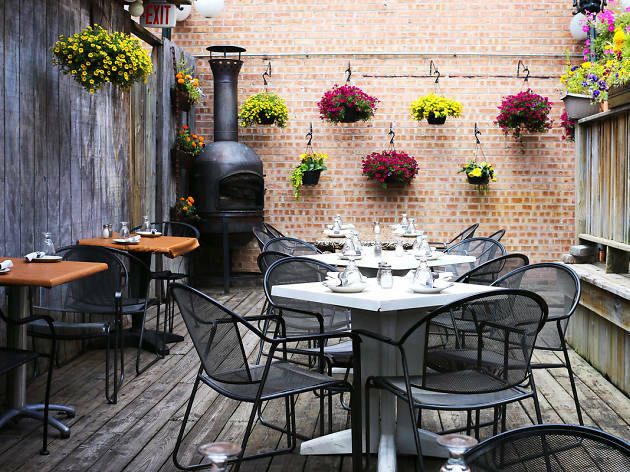 Come summertime, some of the best restaurants in Chicago offer serene sidewalk patios, lush outdoor gardens and sun-soaked decks. 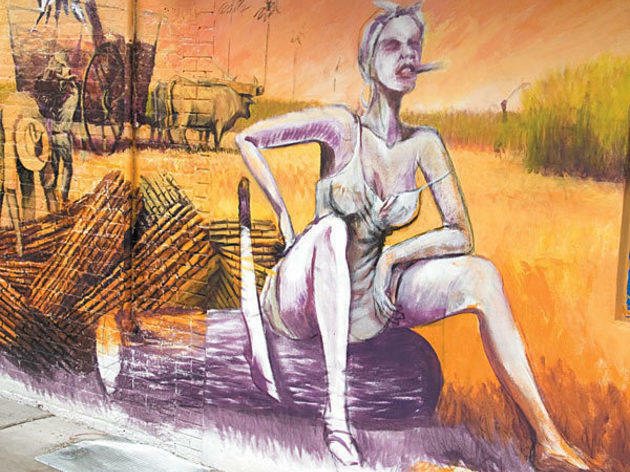 Looking to people-watch the day away while devouring a sandwich? 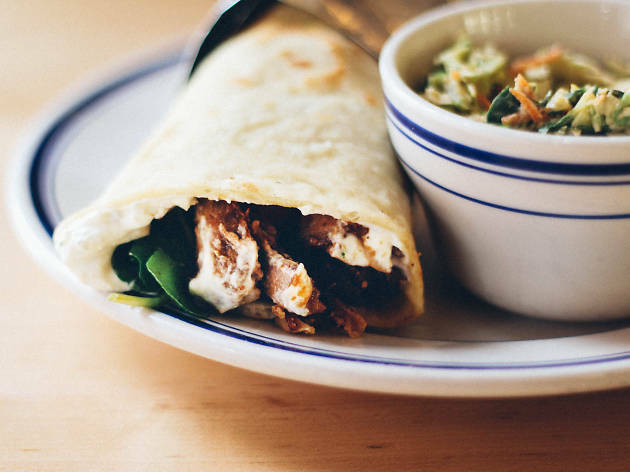 Head to Publican Quality Meats. 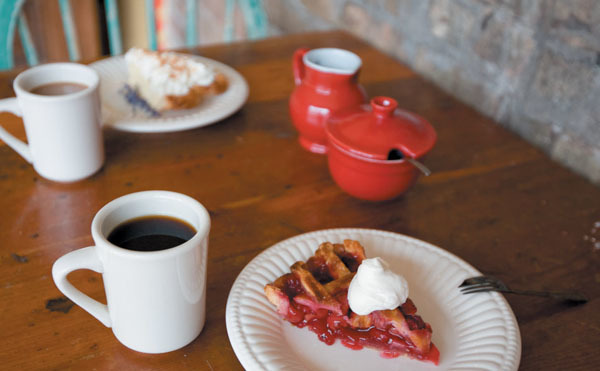 Want a slice of pie with a side of sunshine? Bang Bang Pie Shop has you covered. 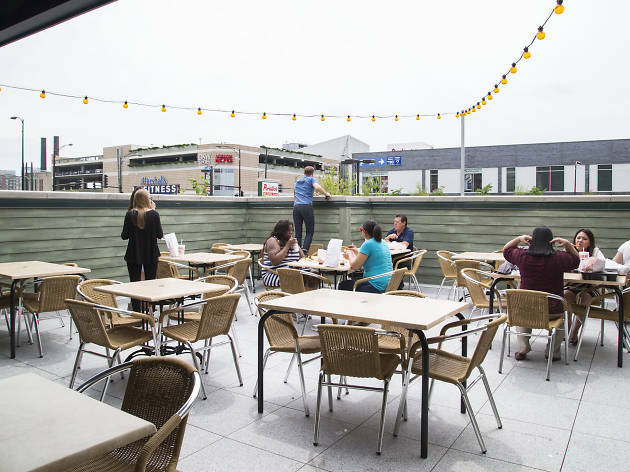 Ready to check out the city's coolest new outdoor spots? 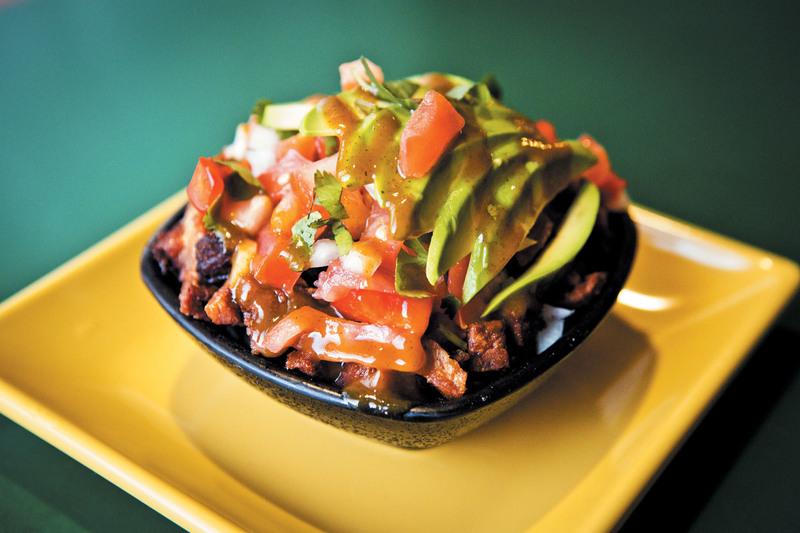 Our list has plenty of recommendations. 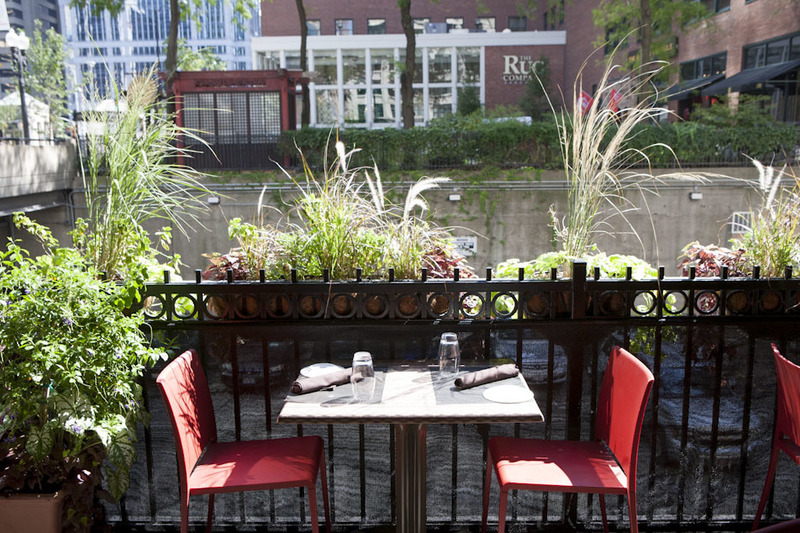 Check out the best alfresco dining options in Chicago right now. 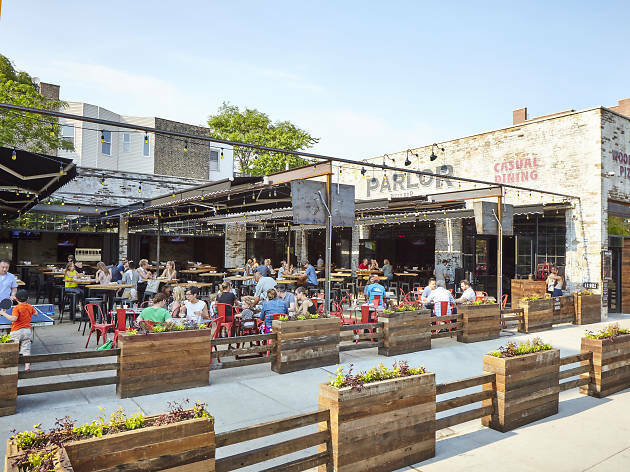 The sprawling patio at the Logan Square restaurant is the place to be, and there are light-wood picnic tables, striped umbrellas, strings of lights, spindly trees and ping-pong tables. Ordering a negroni slushie is practically a requirement, and you'll need some snacks to be able to drink more than one. 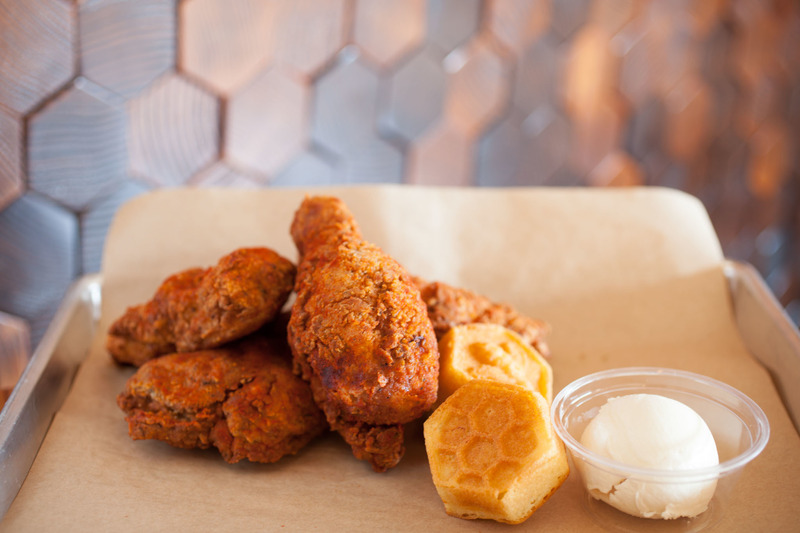 The hush puppies are your best bet, and the grilled chicken tops the fried. 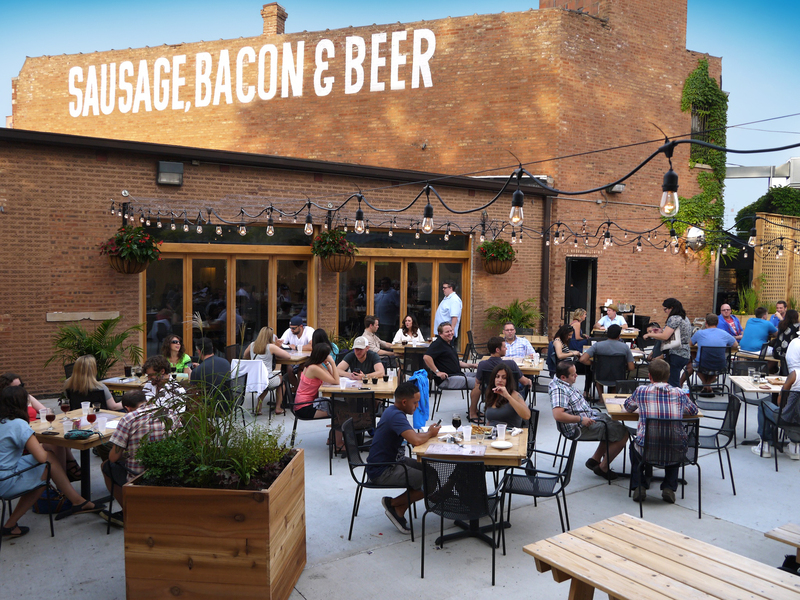 Is there anything better than eating a Chicago-style duck fat dog on a lush, hidden patio in Bridgeport? If there is, we have yet to find it. 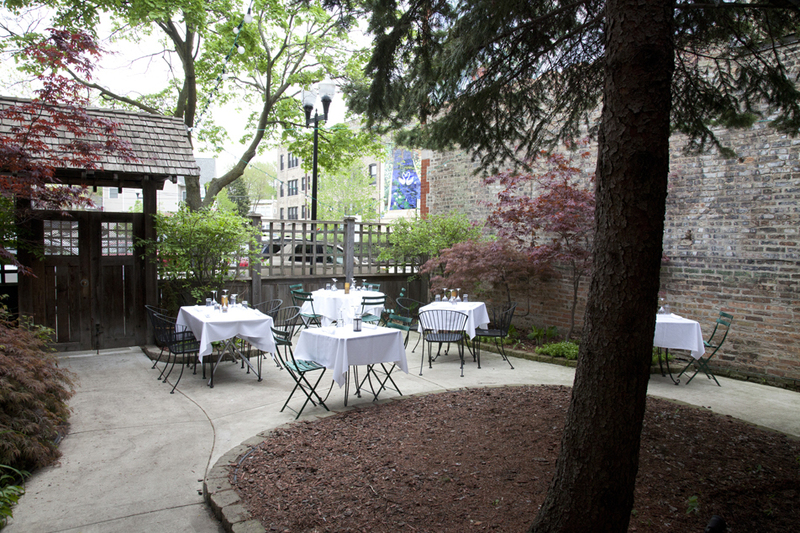 Come summer, the Duck Inn's tree-lined garden transforms into an intimate destination for brunch and dinner. 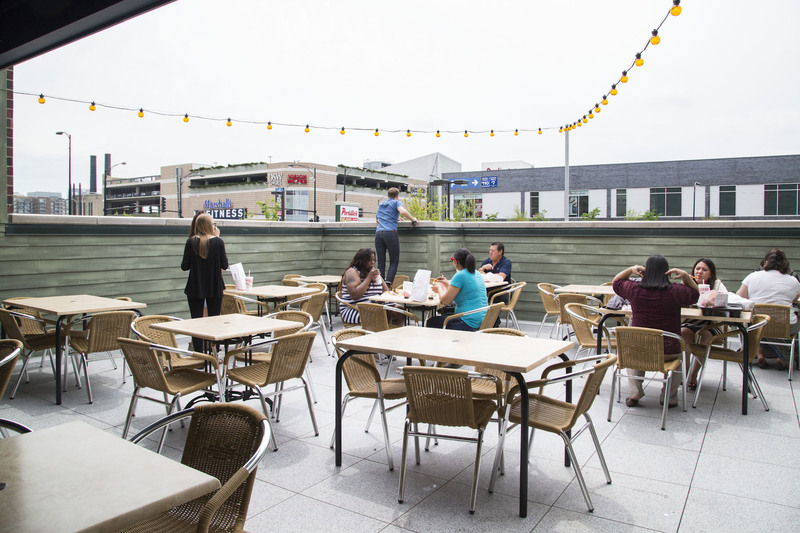 The huge patio, with a bar, tables, greenery and high walls, makes you feel like you’re far away from the busy corner next to the Grand Blue Line stop. Order up dinner, then stay for rounds of cocktails, like frosty mai tais. 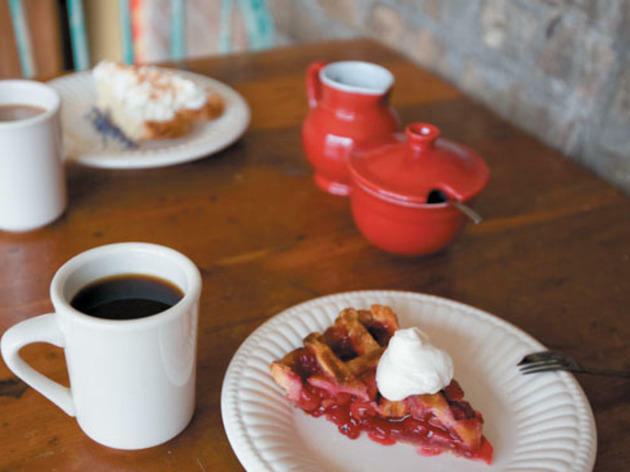 They say the pie is the thing at this instantly beloved Logan Square shop. And it's true: The pie's terrific. But don't overlook the coffee, the insane biscuits (with a spread of housemade jams and butters) or the huge yard, strung with lights and filled with picnic tables and lush greenery. 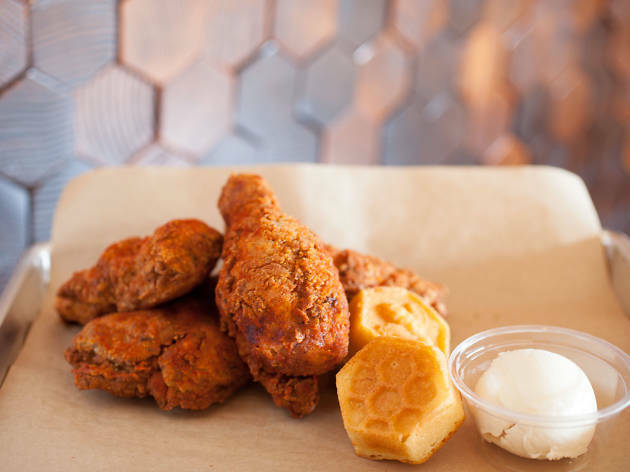 The fried chicken spot has a great patio, with picnic tables, strings of lights and heat lamps, so you can take your lunch or dinner outside on even slightly cool days. This sibling location of Clybourn Avenue’s popular Cuban carryout joint is nearly a spitting image of the original—same toasted Cuban sandwiches, same flaky empanadas, same garlicky yuca chips, same potent café con leche. 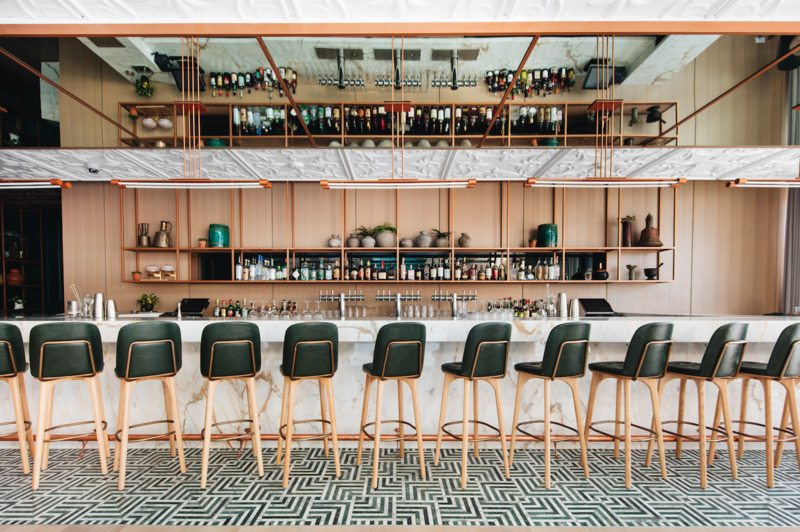 But even if the tiny interior, with its newspaper-covered walls, elicits the same claustrophobia, the big draws here are the spacious front and back patios, tropical ambience and mixers to turn BYO liquor into mojitos. 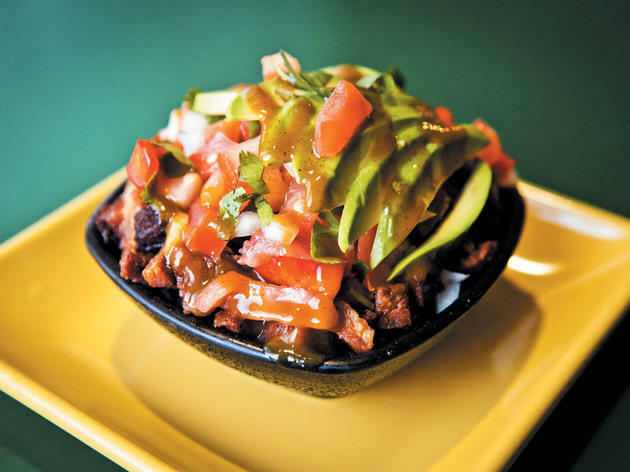 Never tried Costa Rican food? 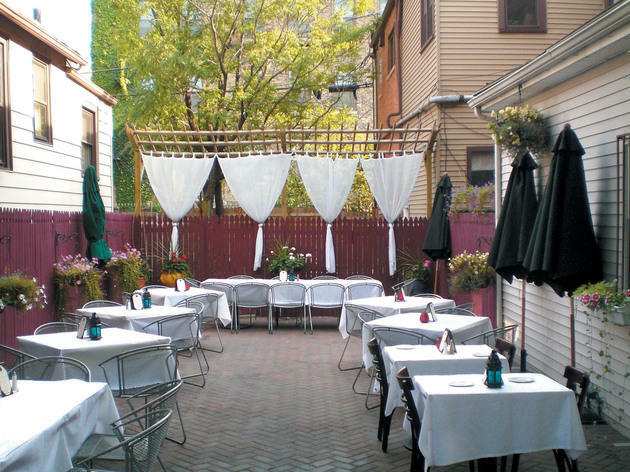 This spot is simple, authentic, cheap, supercasual, friendly—and all about the outdoor patio. 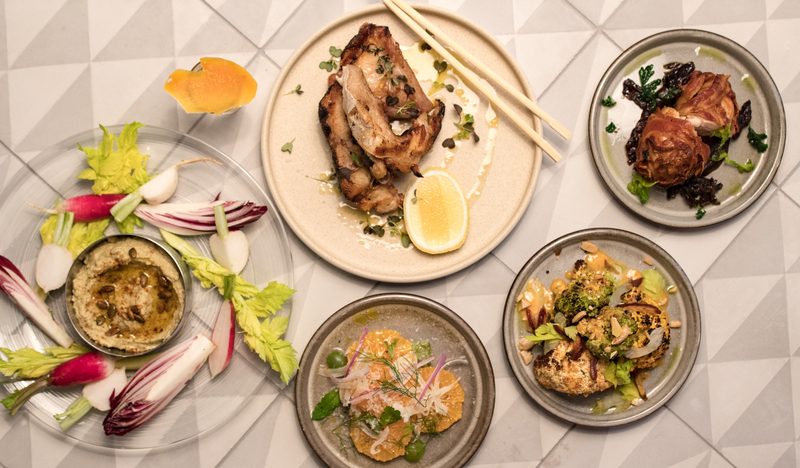 Start with the hearts of palm salad—tangy stalks on a bed of shredded cabbage tossed in a lime vinaigrette, along with radishes, cilantro, cucumber, pickled beets and ripe avocado. 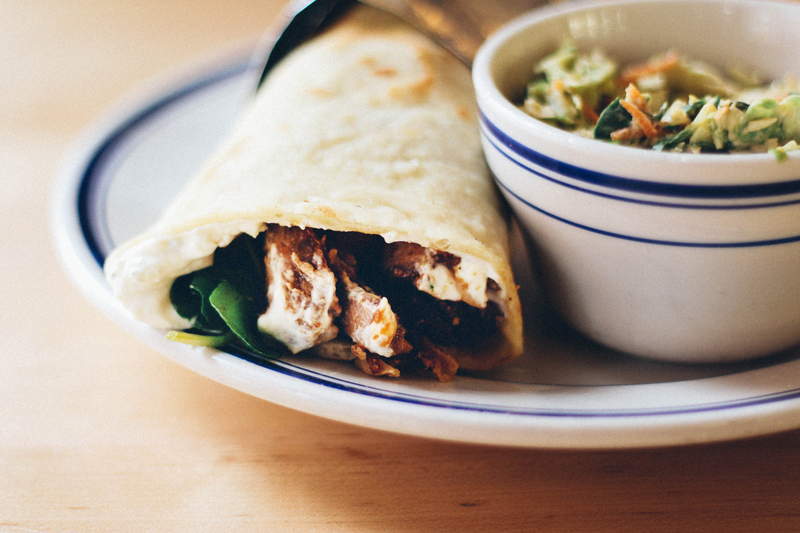 Make it a meal by adding the steak-and-beans “pepito” sandwich and sweet plantains. 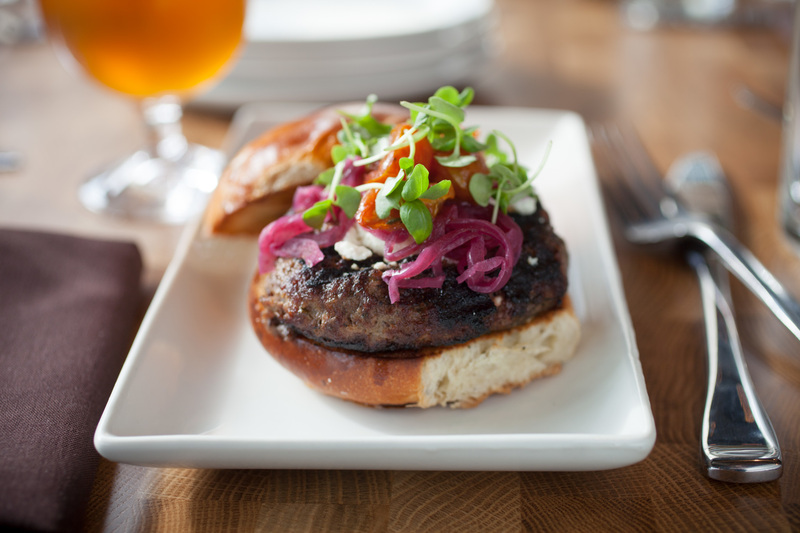 Bring a bottle of malbec to match, and end the meal with an oatmeal shake (sounds strange, tastes great). 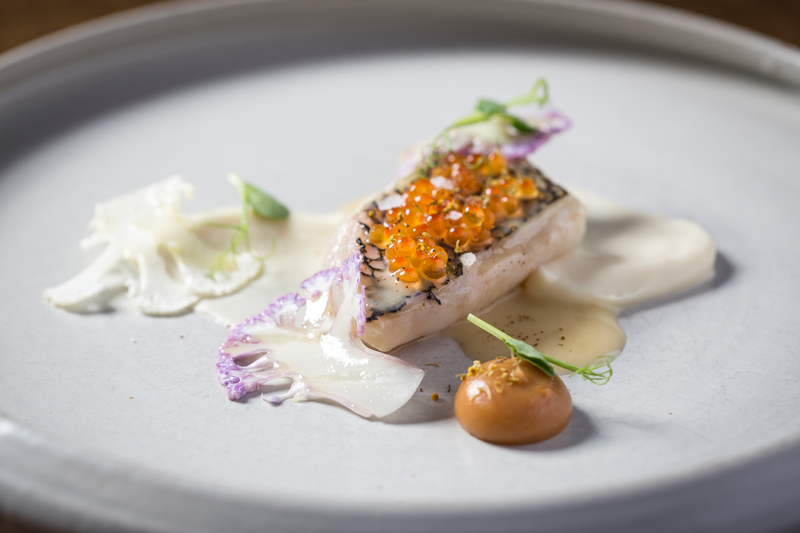 The terrace at Boka is nice and secluded, and we really can't get enough of the food chef Lee Wolen cooks. 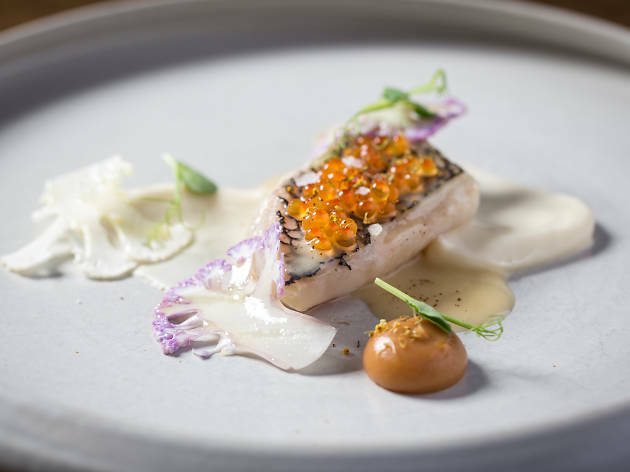 For an upscale alfresco date, this is the restaurant you should head to. 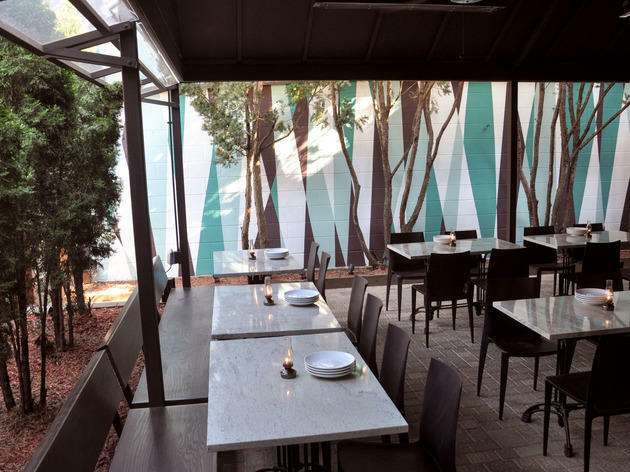 Gather's 40-seat, covered terrace in Lincoln Square features shareable dishes like a Gathering Board of charcuterie and pickled vegetables, to be accompanied by summery wine coolers served by the glass and pitcher. The second location of the hot dog chain in the city serves up the same dishes you've come to know and love at Portillo's. Stop by for a quick lunch for an Italian beef or a Chicago dog and crinkle fries and finish off your meal with a cake shake. 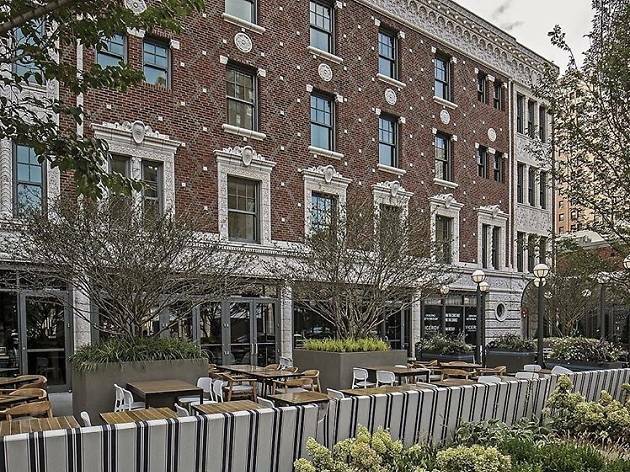 Plus, at this location you can sit at the patio and enjoy your meal. Inside the ivy-covered walls of this Italian oasis, it’s as lush and romantic as a fairy-tale forest. 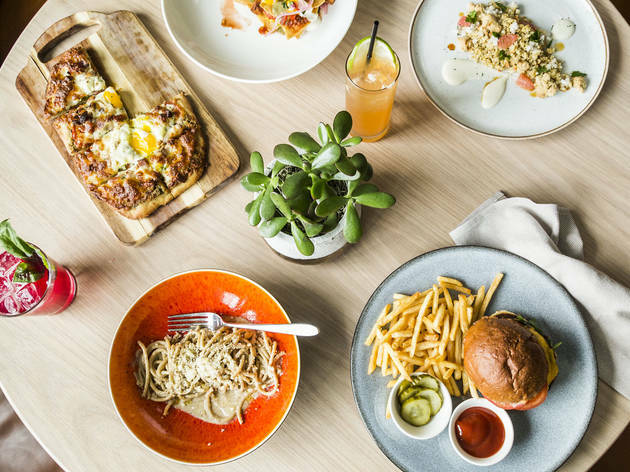 It’s hard to complain about the light, simple Italian dishes, but the food doesn’t stand a chance against the perfectly balanced setting, bathed in warm, golden light. 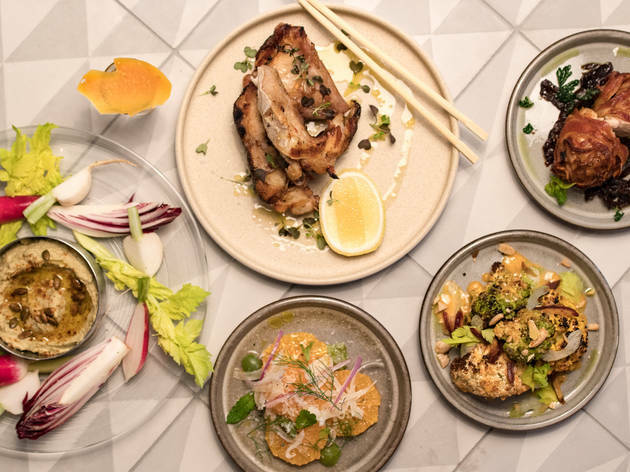 Antipasti and something from the enormous, reasonably priced Italian wine list is all you need for a perfect summer evening. 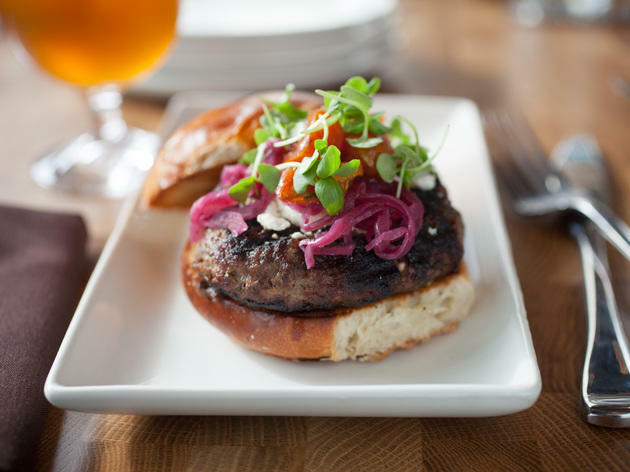 Here's the game plan: Spend the morning soaking up the sun and views at Promontory Point, then, when hunger strikes, head to the Promontory and ask for a table on the sprawling outdoor patio. Order a cocktail and a cheeseburger. Repeat all summer. 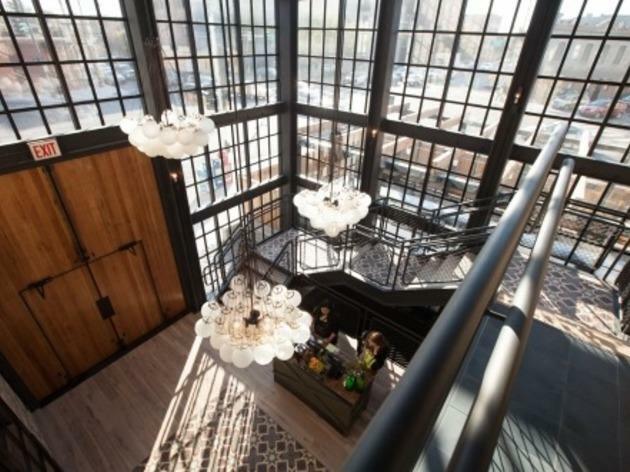 With a name that translates as “countryside bistro,” this restaurant is so warm and inviting we could stay all night. 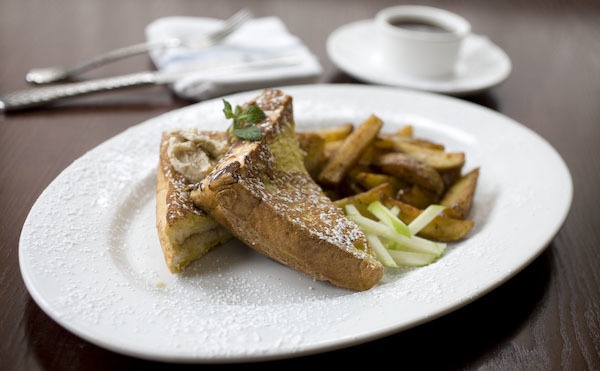 Ingredients are fresh and meld into French bistro classics with unforgettable flavors. There isn’t a bad thing on the menu, but if we had to limit ourselves, we’d go with onion soup, mussels steamed in Belgian ale, roasted chicken and pan-seared hanger steak flanked by amazing frites. 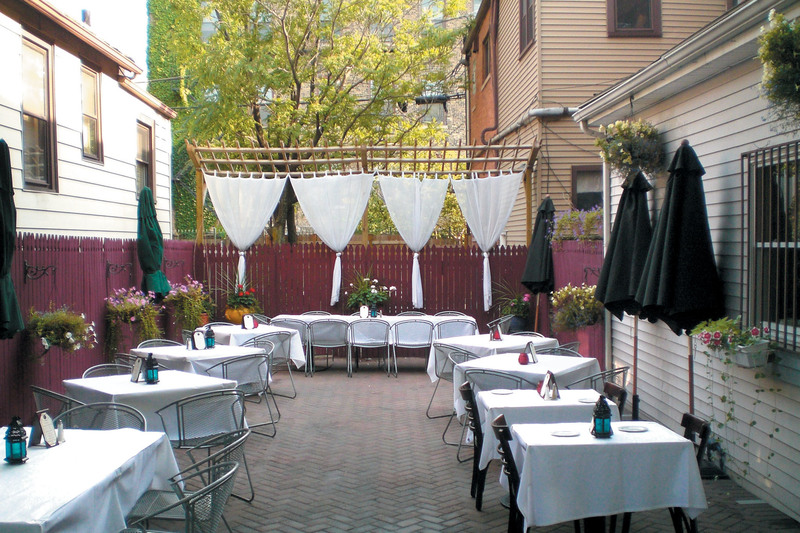 Oh, and if you can snag a table on the romantic back patio, you have the makings of a perfect summer night. 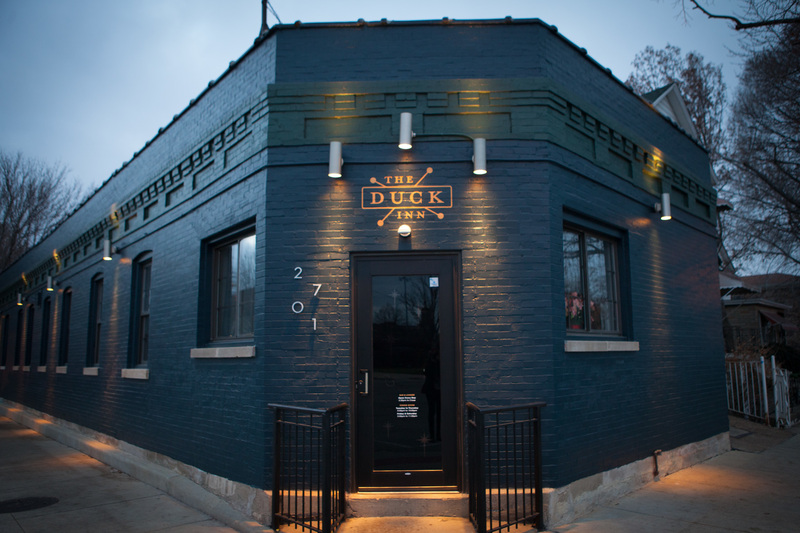 Ravenswood locals flock to this bar for its namesake warmth (everyone loves the covered, heated patio) and coziness. 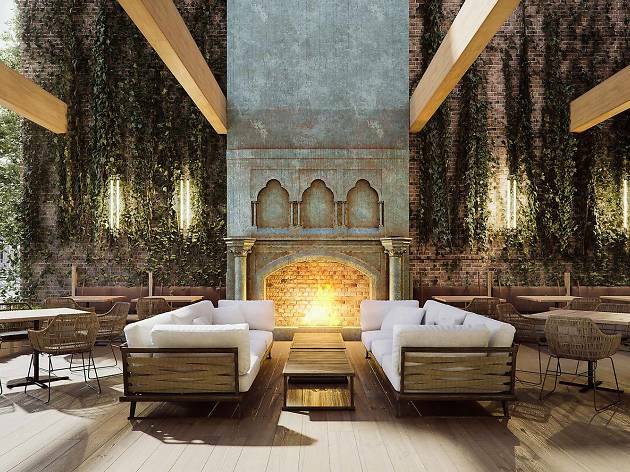 Come summer, the beautiful outdoor space makes the perfect backdrop for an intimate date night or a friendly get-together. 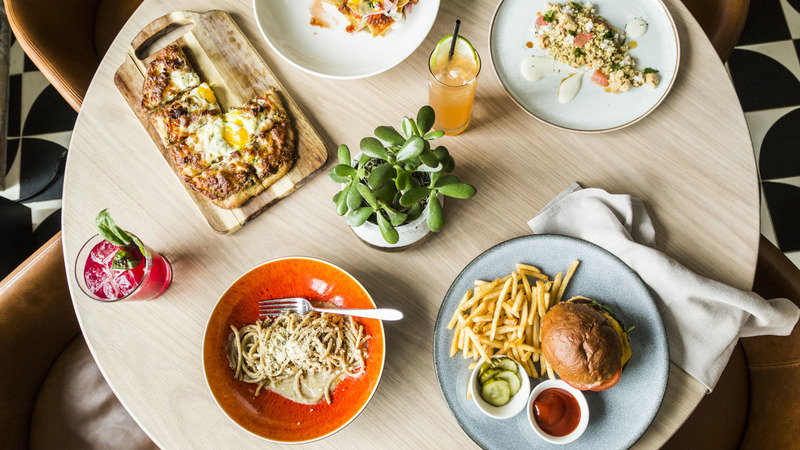 The massive menu has something for every taste, including crispy calamari, saucy ribs, smoked gouda mac and cheese and a bevy of burgers. If it’s a scene you’re after, you’re in the wrong place. The only scene at Chez Joël is an antiscene: Nobody’s dressed to impress you (not that they don’t look nice), and the music is straight from the playlist of Gérard Depardieu. 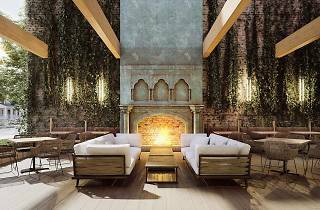 Joël’s brick-laid courtyard is a respite from all that, a quiet spot where the pâtés are creamy and the Champagne is cold. 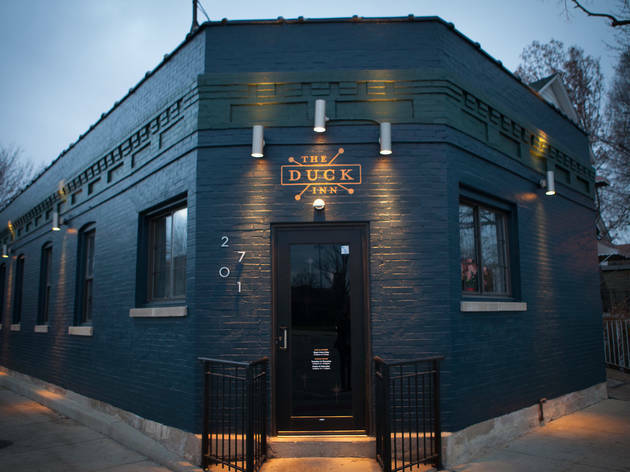 While the inside of this bar can feel a little bit like Wrigleyville (especially on game day), the patio has both low and high-tops and a ping pong table to entertain yourself. 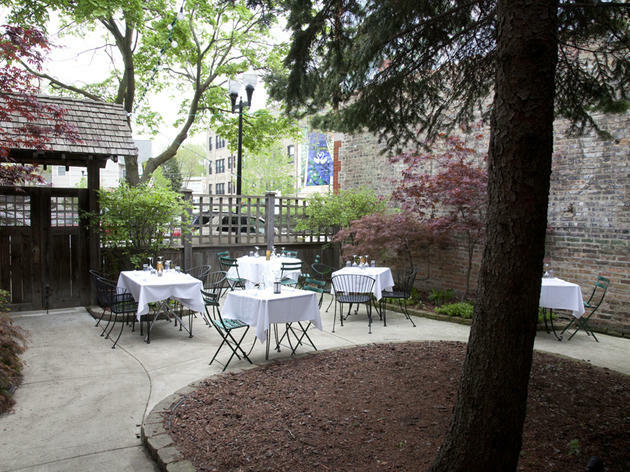 Plus, it's totally gorgeous and just the spot to enjoy a pizza, a beer and the Cubs game. 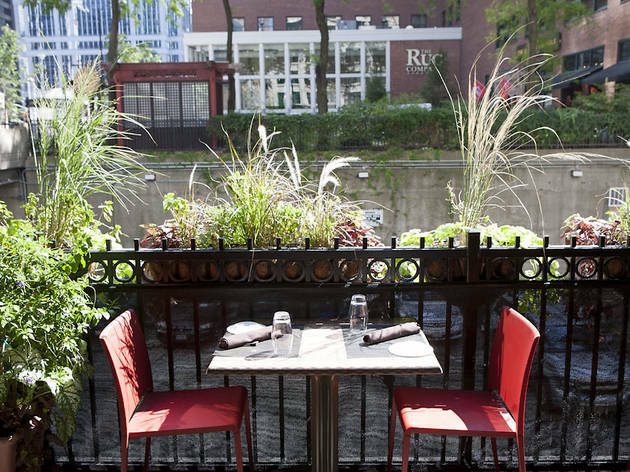 This West Loop staple may have just a sidewalk patio, but it's a beloved sidewalk patio—once the weather warms up, you'll hardly see anyone chowing down on their sandwiches and meat and cheese plates inside, with the sunny patio making for outside digs that feel just right. What this patio lacks in size, it makes up for with major personality. 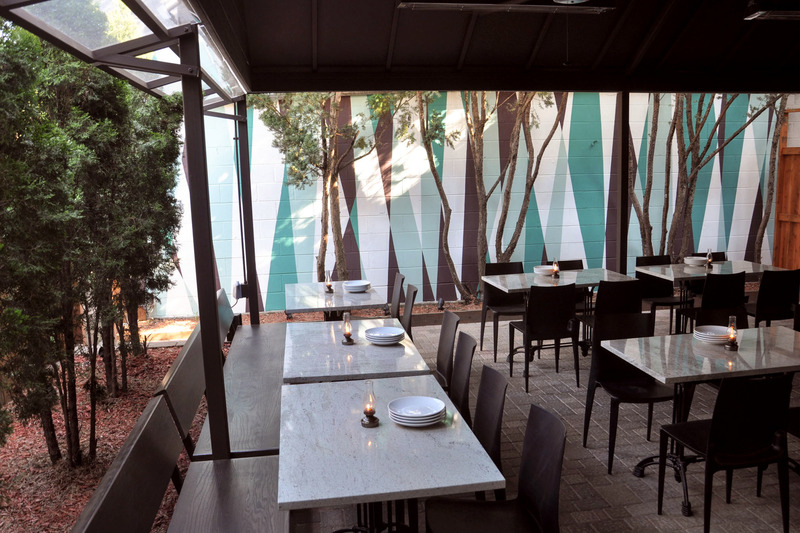 The sweet, fenced-in outdoor area at Chicago Q is a beckoning oasis in the Gold Coast come summertime. 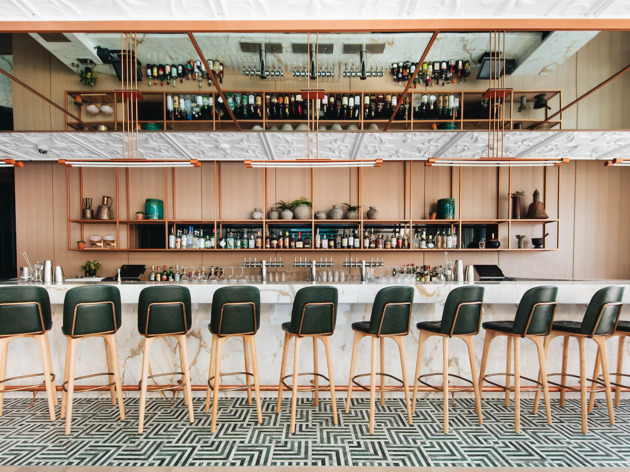 Outfitted with comfy seating, colorful umbrellas and pops of bright white, the space looks like it's been pulled from a Nantucket beachfront property. 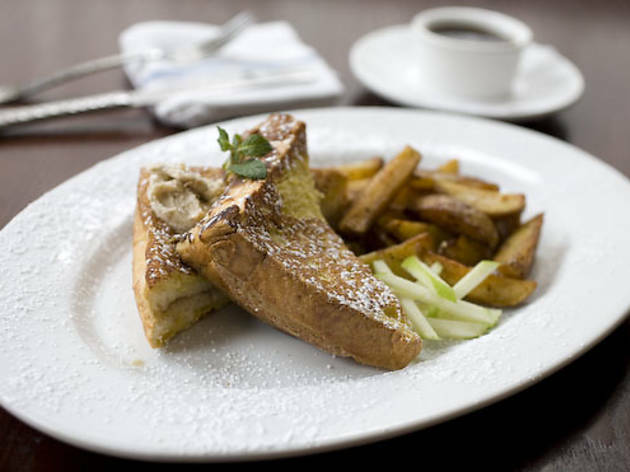 Arrive while the sun's still out to enjoy brunch favorites like French toast, pulled pork eggs Benedict and the breakfast quesadilla. 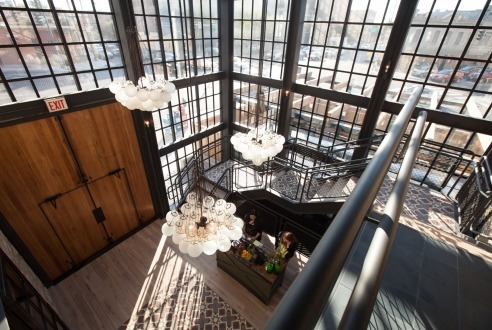 After months spent huddling around fireplaces and shivering from inevitable bar-room drafts, you deserve a drink. Outside. With the sun beaming down, margarita in hand. 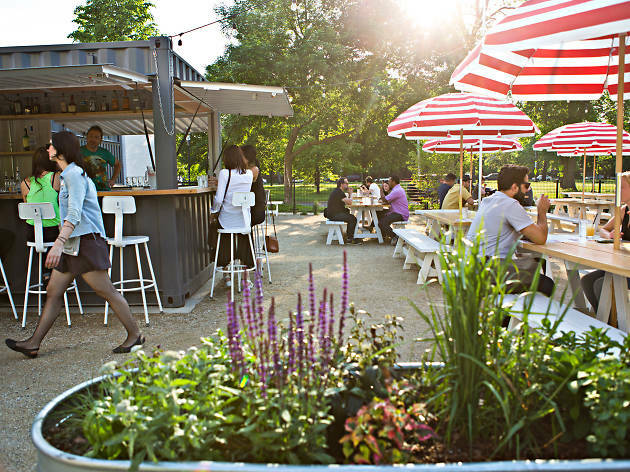 Our guide to the best outdoor bars, from hidden gardens to sidewalk seats, will give you lots of ideas for things to do in the summer, the very best season in Chicago.